When selecting a new enterprise resource planning (ERP) system, one of the most critical factors in your decision will be whether you choose cloud vs on-premise. 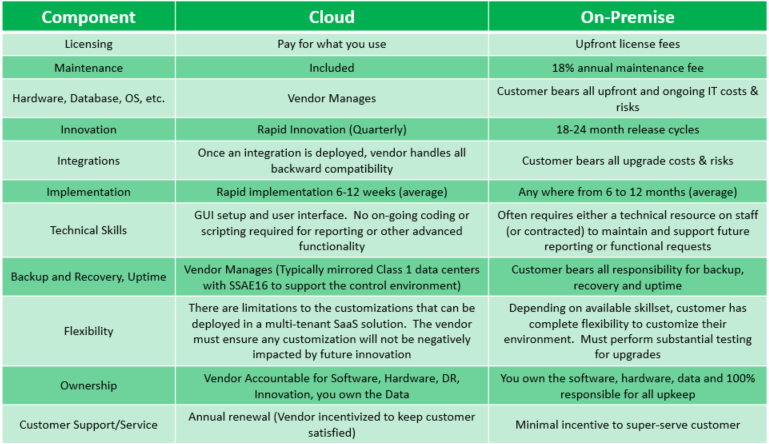 However, many decisions markers do not fully understand what “the cloud” is. Well, fear not because Roghnu is here to help guide you through the decision. First, we’ll start with on premise solutions. With this traditional model, you license software and run it on your own servers. When considering this model, be sure to account for the capital and operating expenses associated with deployment, operations, support, customization, integration, maintenance, and upgrades. While these costs can be too great for small and mid-sized organizations to sustain, on-premise solutions remain a viable option for some larger companies. These organizations often have a built-out IT infrastructure, investment capital, and expertise to support and maintain major software applications. Hmmm… is the on-premise solution not something that will fit your business model? Well, maybe it’s time to jump on the cloud. 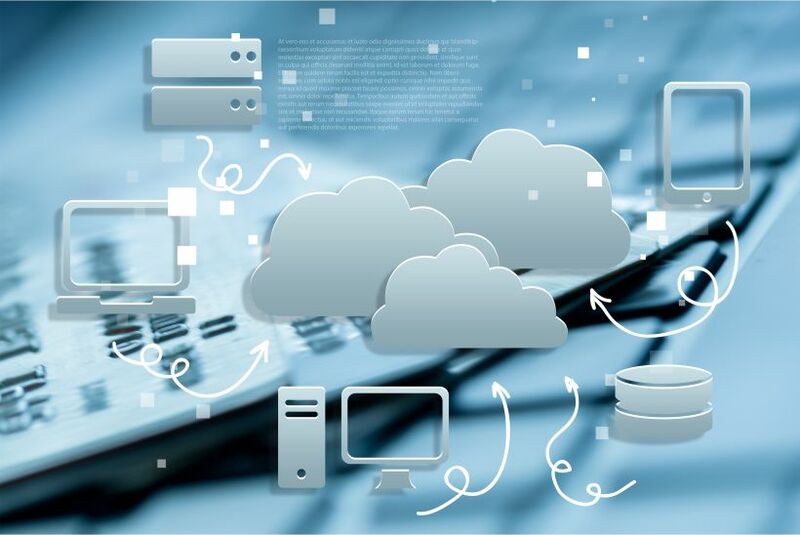 Cloud computing solutions (multi-tenant), is just like Google, Amazon, and online banking, cloud-based financial applications were built for the Internet age. Also known as “software as a service” (SaaS), these applications offer direct, always-on access to the solution, typically paid for on a per-user/per-month subscription basis. They are multitenant, which means you can unlock only your own data, but you work from a shared system—a single set of resources, application infrastructure, and database. There are no upfront fees, capital investments, or long-term commitments because you do not buy, license, or manage the underlying hardware, software, or networking infrastructure. Upgrades are performed at no cost to you. Even if you make extensive changes to the system, your customizations “roll over” to work with the new upgrade. With Cloud-based systems becoming more popular in recent years it may just be the right solution for you! Do you still need more convincing? Check out the comparison chart or give us a call and we will help your business make the best decision!